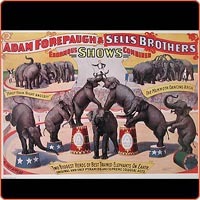 Reproduction poster – Adam Forpaugh & Sells Brothers Elephant Act 1896. 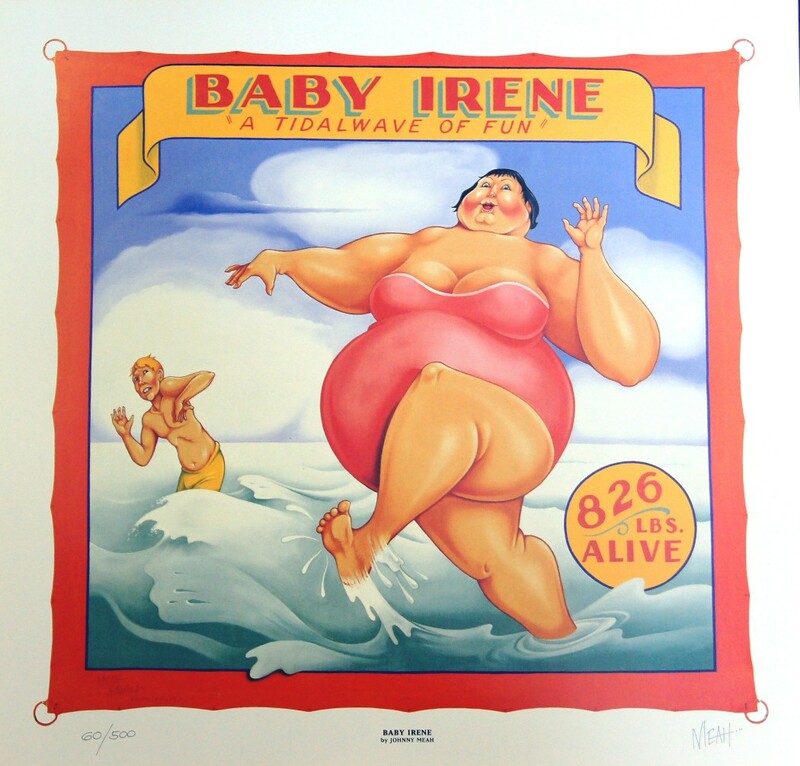 Size 18 1/2″ x 25″. Two biggest herds of the best-trained elephants on earth. 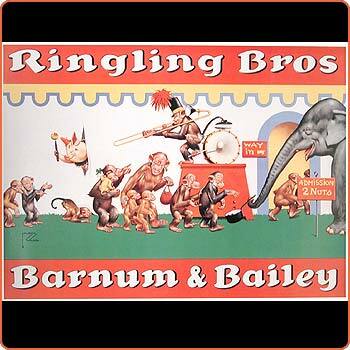 Shows 7 elephants in a pyramid with inset of the Mammoth Dancing Arch.